One of the best photo editing apps for iOS, Pixelmator, has just been updated with some notable new features. The app has now been optimized for screens of the newest 11-inch and 12.9-inch iPad Pro models. And the Pixelmator now also supports the double-tap gesture on the second-generation Apple Pencil that gives users quick access to actions like the eraser. When possible, the app will also respect a global setting for the gesture as well. Version 2.4.4 also fixes a trio of bugs including an issue where the noise, hue, and miniaturize effects were not working into the Photos extension. Designed for the iPhone and all iPad models, Pixelmator can be downloaded now on the App Store for free. 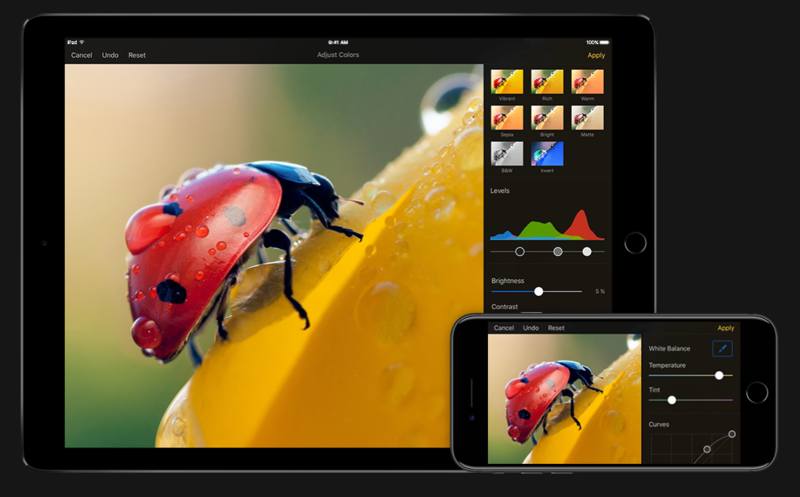 Pixelmator is also planning a new app exclusively for iPad. Pixelmator Photo was shown off at the iPad Pro media event in October and should arrive sometime this year. The app is currently in beta testing.